PATENT PENDING, the 95' Hargrave motor yacht, has been sold with Bob Cury at RJC Yacht Sales acting of behalf of the buyer and seller. 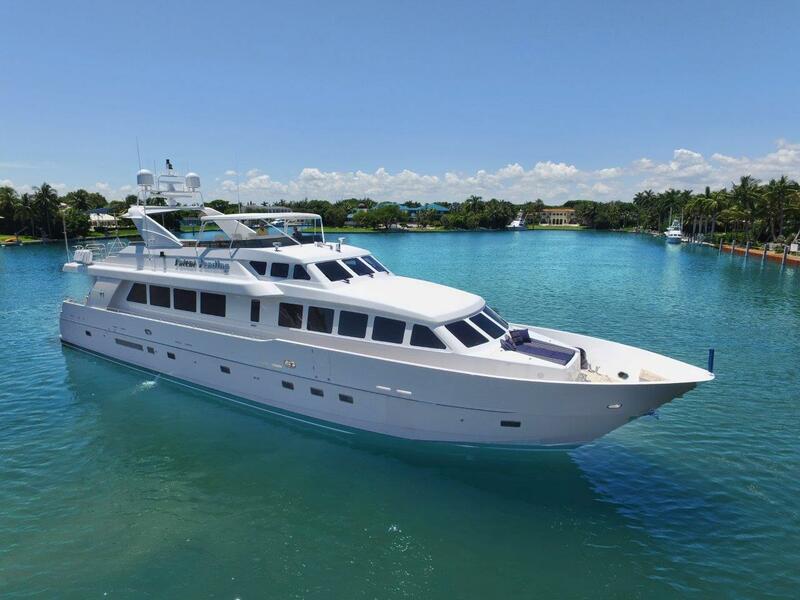 Built in GRP by Hargrave Custom Yachts, she was delivered in 2002 as a raised pilothouse model, and refitted in 2015. Following the refit she now has a fresh interior in high-gloss cherry wood. PATENT PENDING accommodates up to 10 guests in four cabins consisting of a master suite, VIP suite and two twins with Pullman berths. All guest cabins have full en-suite bathroom facilities. The open-plan salon features a large lounge area aft with two leather settees and four comfortable armchairs, a wine cooler and an entertainment center featuring a ceiling mounted drop-down 52-inch Samsung television screen, a DVD player and a Yamaha stereo surround sound system. Forward is found the dining area with seating for eight guests around a high-gloss wooden table. Further forward still is the well equipped galley with a U-shaped dinette seating five guests for breakfasts and casual dining. Outdoors, the oversized aft deck has upholstered bench seating, a teak table and four teak chairs, comfortably seating up to 10 guests for al fresco dining. To add to the mood of carefree relaxation, there is a full bar and a 23-inch flip-down LCD television screen. Located on the flybridge is a large seating area with two tables, a bar, freezer, ice maker and a stainless steel barbecue grill, all sheltered by a Bimini top. Twin 1,400hp Caterpillar engines give her a cruising speed of 18 knots and she is fitted with Naiad zero speed stabilizers.